The third book of this series is very original with many clever twists and turns that keep you changing your mind about what happened and who the killer was. However, several times I lost track of what was occurring due to the many and lengthy descriptions of the clothing and the areas. The play on the title is delightful. Mallory is extremely busy as she agrees to host a Winter’s Ball, allow the filming for the reality show, I Do of creativity wedding all very close together. All plans come to a halt when a murder occurred at the Ball. Missing at the same time is a diamond crown that is worth $50,000. The evidence points to several persons of interest. Mallory must find an answer before there is another death. I recommend this book and series. Recipes mention are included in the book. 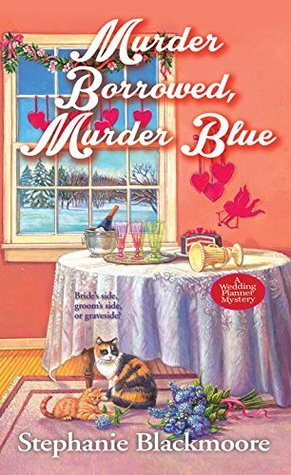 This entry was posted in #NetGalley, Books, Uncategorized and tagged cozy mystery, Mallory, school ball, Stephine Blackmore, wedding. Bookmark the permalink. I don’t think I’ve read any of this series.